In this short post I’m going to talk about how to increase traffic for your website using sources that are completely free to use. There are only two types of traffic you could ever drive to your website, and the free methods are one way that I’ll discuss here today. In this tutorial video, I’m going to show you how to create a squeeze page with Wordpress and build your list of email subscribers. I’m going to show you the best tools to use and how to use them. I will be using a spare website of mine for the purposes of this training. I’m going to show you how to create your own images for your Instagram for free in this quick and dirty little video training. No paid tools like photoshop are required, so, put away your wallet. Unless you’re a girl, of course, in which case, put your purse away. Ready? Let’s create! today I’d like to answer someone’s question. 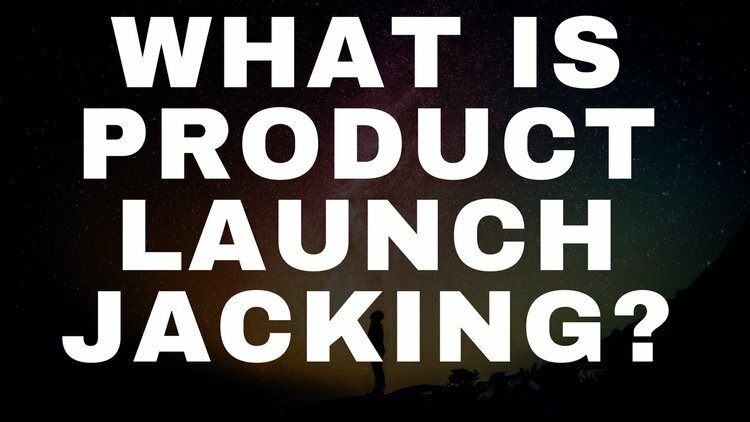 He asked me “what is product launch jacking?” I was also asked how you can do it for yourself to get a fair old slice of affiliate marketing action. Product Launch jacking is a term used in the internet marketing industry that people use when they want to describe a method of promoting brand new, as yet, unlaunched products (or services) and making commissions from them. Do you want to know how to learn about affiliate marketing so you can make money online? Do you feel there is one major problem? Is that problem the structure of your learning? That is the resources to learn affiliate marketing can be fragmented and they certainly are time-consuming if you don’t know what you’re doing and you’re an absolute beginner.